The advent of the internet has changed the way businesses used to work. Nowadays, almost every business is using online marketing strategies to increase sales. Entrepreneurs are finding out ways to use the power of internet more and more to improve their businesses. One such business that is entirely based on the internet, and is one of the flourishing sectors in the present era, is online auction business. This business offers convenience since the auction website serves as a framework where you can work, and draws numerous prospective customers. Online auction businesses are a great way to make loads of money. However, if you are an entrepreneur planning to start an online auction business, you need to have a good understanding of the factors that determine the success of such businesses. Online auction businesses can have a large variation in profit margins, ranging from negative to significant. Hence, it is quite essential to cut down the costs involved and streamline the business operations. Companies that usually assist online auction businesses are those who do the packaging and shipping of products, run the auctions and post the auctions. Costs can be reduced by posting and administering your auctions on your own, as these jobs can easily be handled by you and your colleagues. However, it is wise to avail the services of campiness who are well experienced in packaging and shipping of products. Damage of products may lead to losses in your business, and can also degrade the reputation of your business. So, make sure you hire the services of such a company and ask them to ship the products in professional containers. 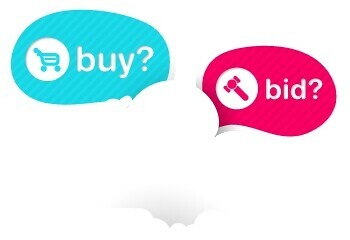 When customers plan to buy products through online auction from a specific company, they check out the feed back about that company given by other buyers. So, you need to check out your email quite often and fix the customer service problems at the earliest. Make transparency a principle in your business and mention each and every condition of sale. Mention your policies related to shipping of damaged products and return. When you receive a payment from a client, remember to leave a positive feedback and request your clients to provide a positive feedback for you. Carry out the customer service conversations through email. These are the key factors that are responsible for the success of any online auction business. Focusing on them and designing better business strategies keeping these factors in mind, would help you to have a successful online auction business. Author Bio: Joana Hall is an avid writer who likes to write blogs on Business. She has written many articles on Online Car Auctions. In this article she is providing the readers some valuable information on Make Your Online Auction Business Successful by Focusing on Key Factors.